Last Thursday we hosted a little benefit event for a project that’s close to our collective hearts. The partners who created OTBX have had a relationship with a church in New Orleans (St Marks Methodist) since 2010 when Bill (me) went on a guy’s weekend and came back and couldn’t stop talking about my profoundly impactful experience there. St Marks sits on the edge of the French Quarter and Treme (pronounced “tree-MAY”) and while the church is beautiful and surrounded by all the history and beauty that makes New Orleans famous, the population they serve deals with things that aren’t so beautiful. 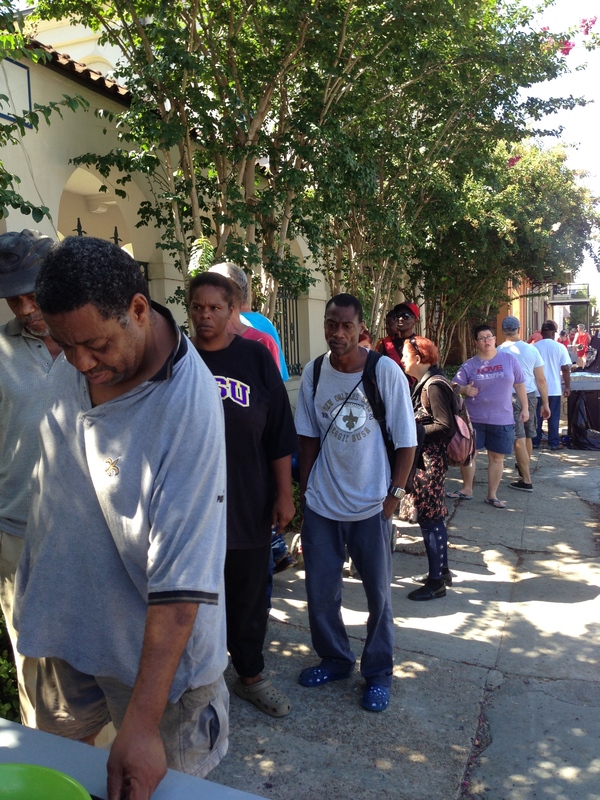 Treme is one of the poorest neighborhoods in the United States. Years of the grind of poverty, drugs, prostitution, gang violence and the resulting human casualties have caused the ministry at St Marks to be one that preaches the basics of survival and forgiveness to anyone willing to walk through the door. I saw this first hand and was both captivated and convicted by my comfortable, very safe and very judgmental life up here in Huntsville. I felt called to return and help the cause somehow. I contacted the pastor and we made a plan. The following summer, I recruited some of my buddies and we packed up a RV and rolled to New Orleans to host a big cook out for the poor and homeless in the neighborhood surrounding St Marks. 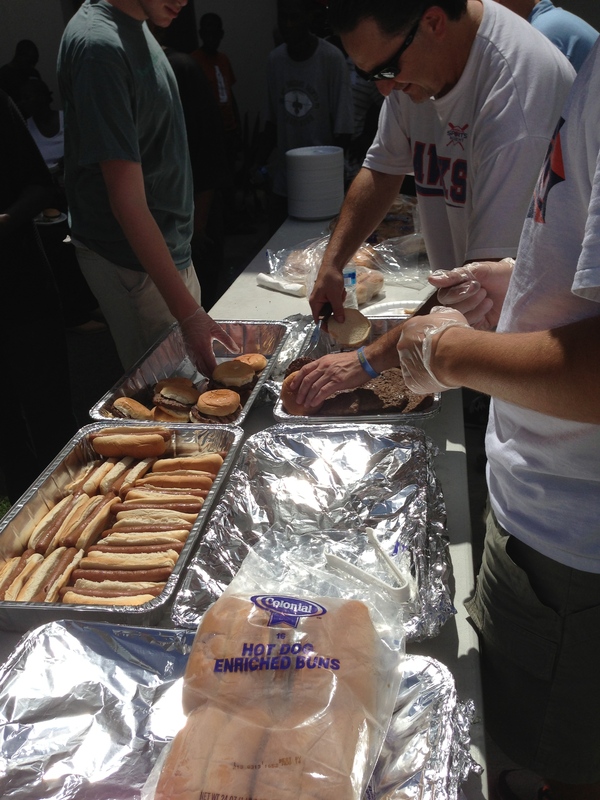 That day we served about 200 hamburgers and hotdogs to men, women and a surprising number of children. We had so much fun (hard not to have fun in New Orleans) in addition to our work at the church, that it become an annual event. This year, thanks to the success of our little beer store, we decided to use this platform to help publicize the mission project and ask our beer-loving friends to help us out with our logistics by hosting a benefit party. Huntsville’s own famous chef, LeeLee Wiginton donated her talents and brought in some ridiculously good shrimp and grits, pimento cheese sandwiches and a bunch or other treats – and really stole the show. Everyone was impressed with the food. LeeLee is simply amazing and we’re lucky to have her as a friend. Abita Brewing (just across Lake Pontchartrain from NOLA) also got involved. They sent up some great stuff to giveaway as well as some fine beers. We also got some help from our friends at Reconstruction South. They ran a little silent auction on some of their recent finds; a beer box from the 1940s, a scale that’s at least 100 years old and a cheese board made from wood flooring from a historic home in Athens, AL. Thanks to them, we padded our donation box quite nicely. It was a great time to support a worthy cause. Thanks for to all who joined us.